To avenge the assault from Momoshiki, and to save his father who has been kidnapped, Boruto, Sasuke and the Kage, who are the leaders of the villages, head to the alternate dimension. Against the almighty power of Momoshiki and Kinshiki of the Ōtsutsuki clan, Sasuke and the Kages engage in fierce combat with them. 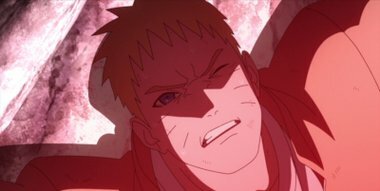 In the midst of all that, Boruto and Naruto are finally able to face each other, having always avoided this situation in the past. However to this father-son duo, Momoshiki declares some mysterious words.